My bff and maid of honor, Rachel, took the Bolt Bus down to Portland from Seattle on Friday night. I had an appointment after work and then hit the pool before picking her up downtown. It’s been awhile since we’ve hung out! The last time I saw her was back in June when I went up to Seattle for a girl’s weekend. I’ve been so busy all summer long with stuff and wedding planning and she went to Europe for a few weeks, so it felt like we hadn’t talked in years. We grabbed dinner and a glass of wine at Al-Amir in downtown Portland. It’s a Lebanese restaurant that had really good reviews online but it fell flat for me. The food was fine, it was just rather boring. I’ve never had Middle Eastern food that was bland. All the other Lebanese restaurants I’ve eaten at in town have been bursting with flavor and spices and smelled wonderful. There wasn’t anything wrong with the food we got, it just wasn’t special or memorable. We skee-daddled as soon as we were done with our glasses of wine. It was Friday night and while back in the day we would have gone out and partied and stuff, we were both tired and looking for something low-key. We went back to my place and Rachel got to meet Bella. Rachel and I ended up having a few more glasses of wine at home while we caught up and chatted and played board games. Saturday morning the three of us went out to breakfast. I skipped the gym and we went to the J&M Cafe in SE Portland. 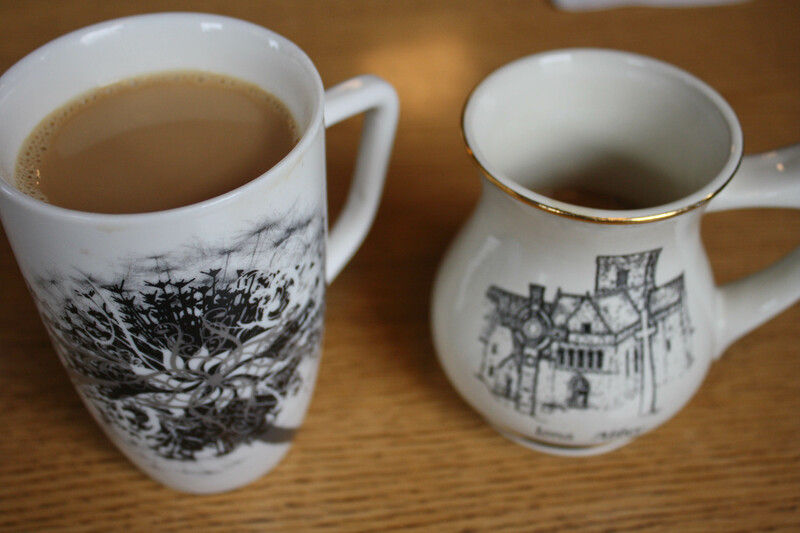 The thing about Portland restaurants and weekends is that I LOATHE going out for breakfast. I want to go. I love breakfast. I crave something decadent like French toast once in awhile and homemade doesn’t do the trick. But I absolutely hate the Portland culture of standing in line for OVER AN HOUR to get a table for breakfast/brunch. I just don’t understand it. I don’t like it and will not wait in line for that! J&M is pretty good about not having super long lines and I think we got there early enough (by 9am) that we beat the “brunching” crowd. I drank a lot of coffee. And I ordered the special: Eggs Benedict on toasted English muffins with a thick slice of ham in between it. 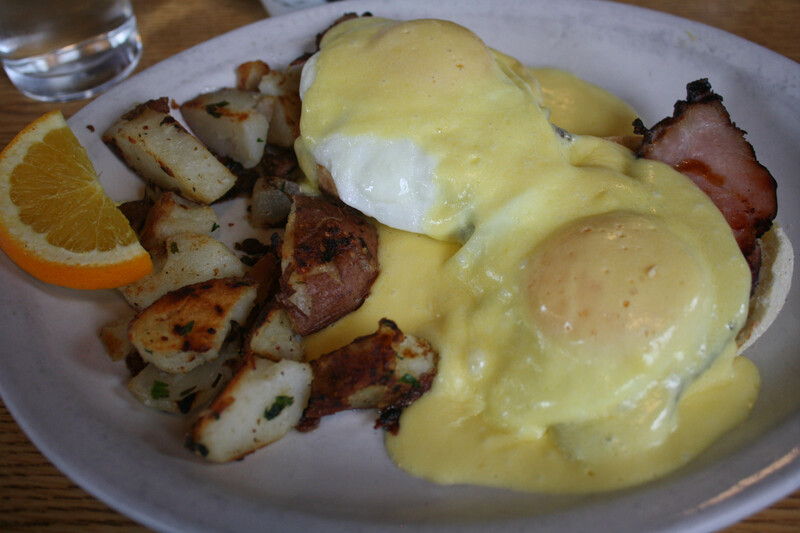 The eggs were perfectly poached and I’m pretty darn sure that Hollandaise sauce was made with several sticks of butter…!!! It was so rich. I ate about 90% of the breakfast and then couldn’t finish the rest. It was decadent but I only order something like that a few times a year, so it’s not a big deal. Gotta splurge once in awhile. We discussed moving to Mars and then planned a possible “squatchin” outing next summer. Then after breakfast we parted ways with Michael and us girls were off to do girly things! 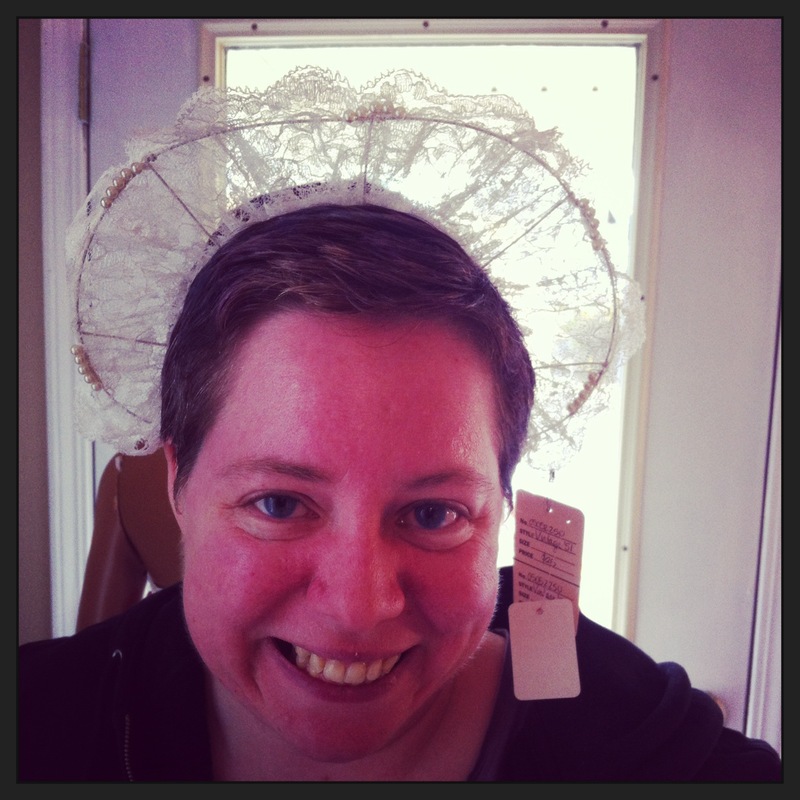 We had the whole day to do stuff so we hit a bunch of different bridal shops all over town–including David’s Bridal, some consignment shops and some really cute boutiques in Beaverton/Tigard. I was on a mission. 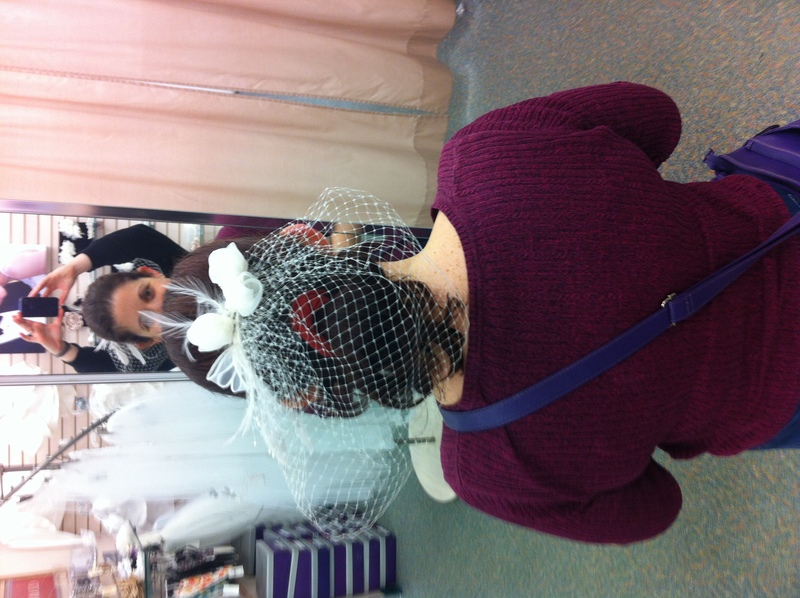 I wanted to find a birdcage veil, a fascinator or hairclip for the wedding that matches my dress. I knew I could find one. I just had to find the RIGHT one and the right color (not white). We drove all over town! In the end, we ended up at the consignment shop where I bought my dress, Richele Kay Bridal, and that’s where I found the one! It was cool that that was where I found it because I really liked that store. They were so friendly and had great customer service. Several of the places I went to had terrible customer service. 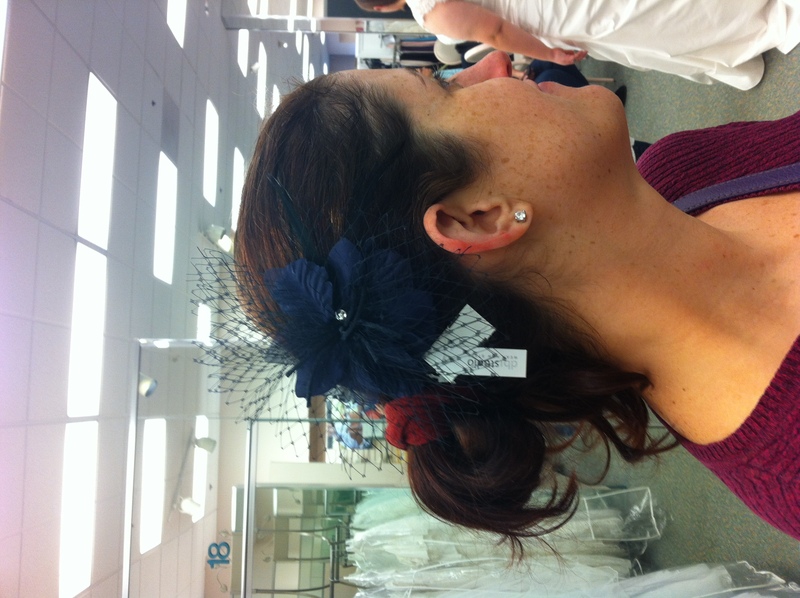 The fascinator I found matches my dress AND it was on sale! $24! SOLD. No, that’s not it. I’m not having a Little House on the Prairie wedding. 🙂 On the way back from Beaverton I took Rachel by the venue. It was all locked up but we were able to look through the windows and she got to see what the place looks like. It was exciting! Finally it was almost time for Rachel to catch the Bolt Bus back to Seattle. I took her to the Heathman Hotel bar for a snack and a drink and some chit-chatting to kill an hour. 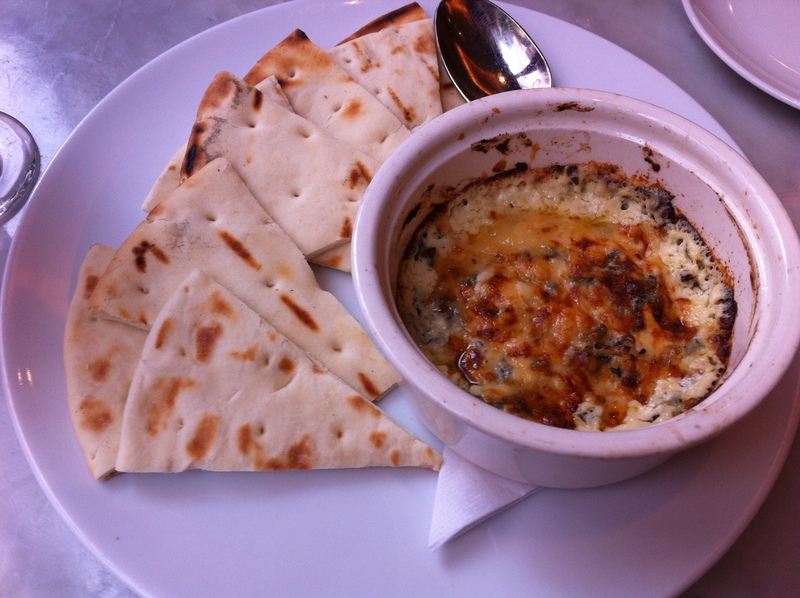 The Heathman usually has really good food and top notch service. Not sure why it wasn’t quite top-notch this time, but oh well. 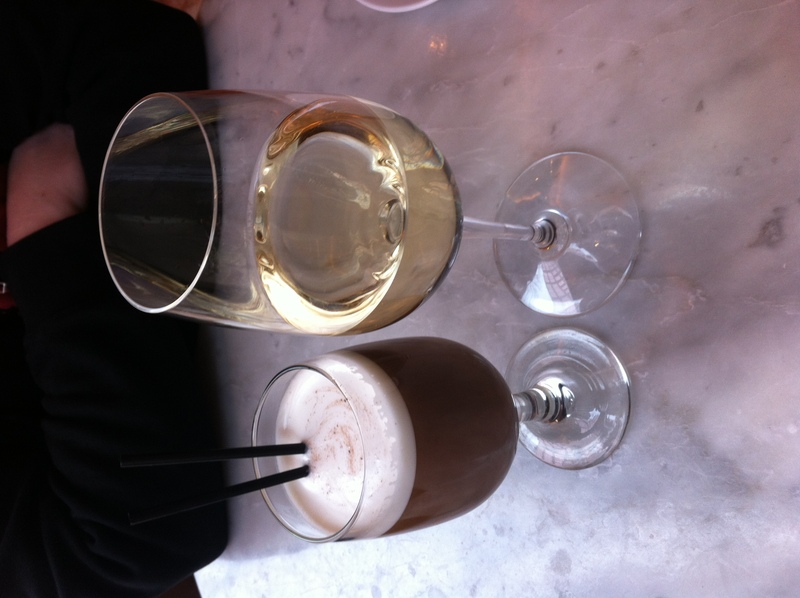 Rachel got an Irish Coffee and I got a glass of the house Pinot Grigio. We shared an order of the spinach dip. It was pretty tasty but there wasn’t very much food. It was like 1/4 of a normal portion. I get that it’s bar food but…it was slightly disappointing. More for Rachel because she was going to be stuck on the bus during the normal dinner time and that teeny tiny amount of food wasn’t going to cut it. Sadly it was time to part ways. The bus was there and we said our goodbyes. It was so good to spend some time with my best girlfriend. I miss living in the same city. We used to spend so much time together! Then she moved to Montana and I moved to Portland…funny how life turns out. Anyways, she was on her way to Seattle and I went to the gym. It was actually rather nice going to the gym at such a random time of day. Apparently it’s completely empty on a Saturday at 4:00pm! I got in a weight work out and then my motivation started to fizzle. 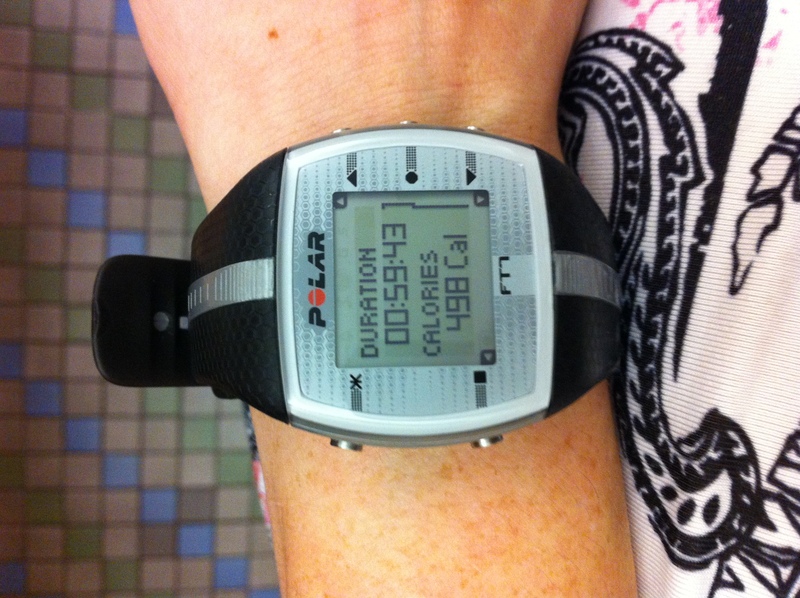 Maybe because I was tired or it had been a long day but I wasn’t really feeling like running or using the elliptical. I called it quits and headed home to relax. It was a good whirlwind of experiences and I’m glad I got one more thing on my wedding “to do” list done. I was also really happy to be home Saturday night in my PJs with Bella cuddling on the couch after driving all over the place all day! When Jeff and I went to San Francisco in June, I made him stand in line for 2 hours for a breakfast place that got rave reviews on Yelp. He almost killed me. I’m used to standing in line for restaurants-my father was a big fan of going to insanely popular places that never took reservations. It looks like you had a fabulous breakfast! Glad you beat the brunch crowd by going early! Wow! Now that is love!! 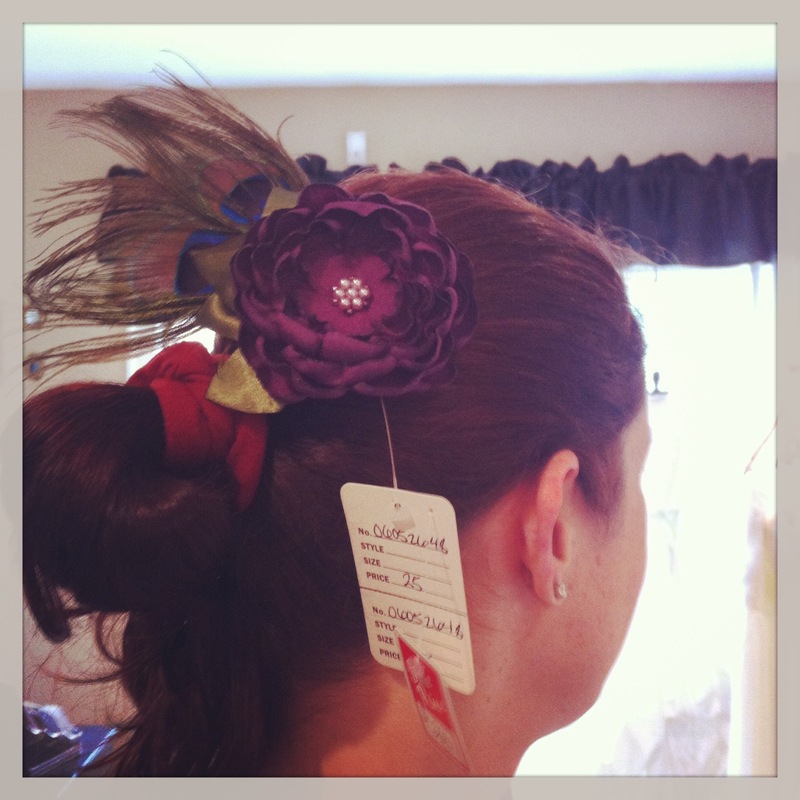 I was able to sell my dress to Richele Kay and had a great experience there as well. Very cool to have a place that helps eliminate the wastefulness of wedding dresses that cost so much and only get worn once! That’s so great! I’m glad you had a good experience there. I read some bad reviews online and was confused because I had nothing but spectacular service.